Today we are looking around the road network between the far end of Alumhurst Road and Alum Chine. These are: Studland Road, plus Beaulieu, Burnaby, Crosby and Earle Roads. We shall start our tour at Beaulieu Road, which is opposite the entrance to Zetland Court. As this heads down towards the mid-point of Alum Chine, it is fairly steep. At the bottom is the western end of the suspension bridge. Instead of continuing across the bridge, we turn right into Studland Road, parallel to the chine itself. We see a mixture of large houses, converted houses, purpose built flats and, at the far end, a smart new hotel. This is in stark contrast to the derelict Lawnswood halfway along. This appears to have seen better days, and a planning application on a nearby lamp-post forecasts its potential doom, along with some adjacent housing. Turning back, we take the next turning on our left in Burnaby Road, the entrance to which is flanked by a pair of hotels. Older style properties, these appear to be fairing well. We can imagine the early Victorian visitors to the area staying in such as these. Further along, the Fircroft and the Alum Chine Beach House seem to represent the more modern trend of “holiday apartments”. A perhaps unexpected sight is a Montessori School. Earle Road and Crosby Road cross Burnaby Road. The former is host to Kings House Care Home, and the latter Studley Tower, which advertises itself as a holiday apartment. It is easy to imagine the landed gentry in days gone by living in this area, enjoying the beneficial pine air that Bournemouth grew its reputation on. The prevalence of large properties has given rise to a number of hotels, guest houses and similar accommodation. 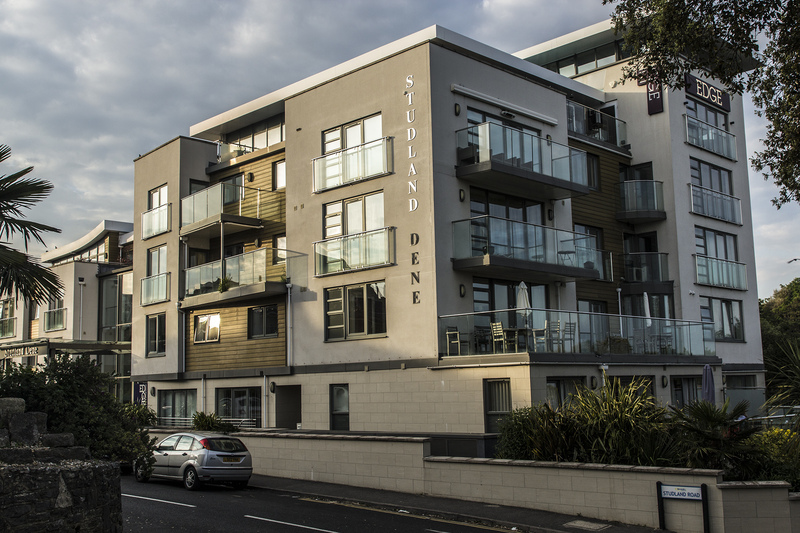 Modern trends have seen a change to more modern buildings, with some of the older ones becoming flats and/or holiday apartments.